I often see light as being fluid. It comes from somewhere, and it goes to somewhere. It flows. This photograph is of a lava flow on the island of Hawai'i. 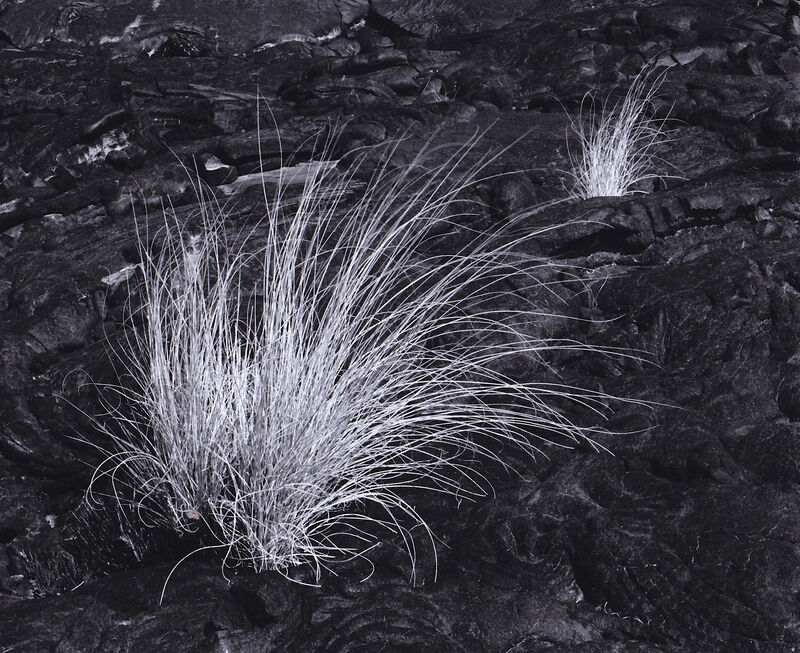 The flow is old enough that plant life has started to become established and there are tufts or grass scattered across the lava. I visited this place three times, and I exposed several sheets of film. Except for this one, each is an ordinary picture of a pretty and interesting place. However, this photograph seems like more. The grass seems like fountains of light erupting out of the frozen lava. The lava itself still seems to be fluid. It is as if blackness is flowing around the bright tufts of grass.